Our home has been going through some changes recently. Big changes. Both of my kids are hitting milestones and its joyous and frightening all at the same time. 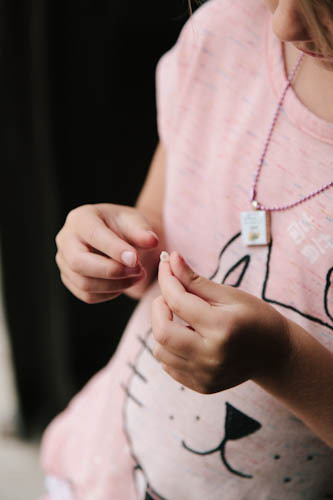 The youngest just celebrated her six birthday and with that right of passage comes losing her baby teeth. The bottom two came out around the holidays well before her birthday, I know this because Santa Claus and the Tooth Fairy were both involved in leaving goodies under pillows. You can see the baby teeth have been quickly replaced. A few days ago one of her front “toofers” was becoming unbearable wiggly. Can you recall that feeling? 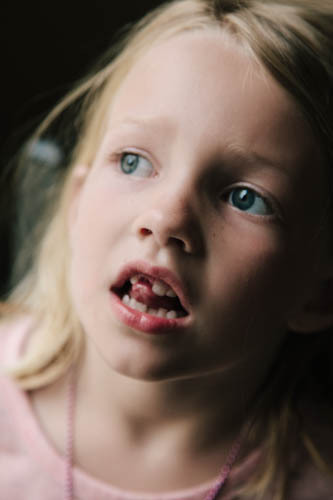 My daughter could simply not stand one more wobble out of her loose tooth. She wasn’t able to eat without it bothering her so she begged me to pull it out. How hard could that be I thought. Well let me tell you it was not an easy extraction. The tooth was clearly not ready when I yanked it I could see that it wasn’t exactly a pain free experience for her. She immediately touched the gap with her tongue, cue the tears. She absolutely lost it. She stared at the bloody tooth in her hand, “momma that doesn’t look like a normal tooth”, she cried. 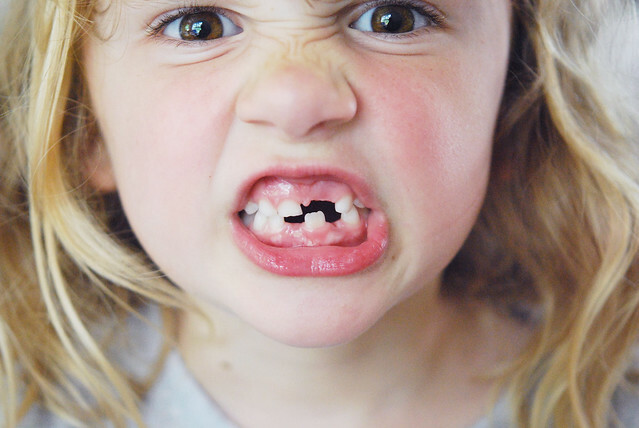 I told her that we probably pulled it too soon but assured her that by the time the tooth fairy came the tooth and the gaping hole it left behind would be all better. Her face began to soften but she didn’t smile. She alternated between a forensic examination of the tooth and looking at her new smile in the mirror. I don’t think she was prepared to see those changes. 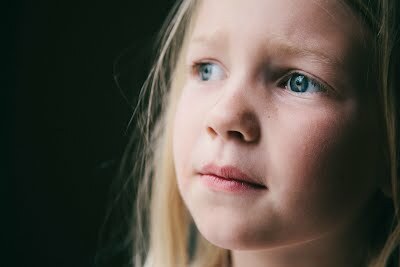 I myself had a hard time looking at her and not seeing that the face of a young girl had now replaced my little girl. This little one doesn’t do change very well. You can see it in her wrinkled brow. I know change is not always easy but it’s usually necessary to make room for new things to come, including permanent teeth. my little guy is due to lose a first tooth any day now, he’s within spitting distance of turning 6 – and i’m afraid i’m approaching this change with the apprehensiveness of your daughter. 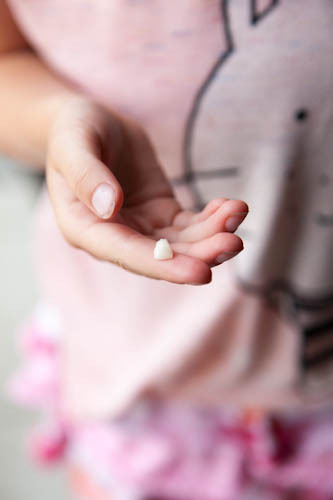 but i recall so many years ago begrudging the first baby tooth to pierce my older child’s toothless grin, and find myself admitting that change isn’t all about saying goodbye – it’s about saying hello too.